The first official day of painting at Paint the Peninsula was a bit frustrating because I had to find a place that would look at my van and get it fixed before doing any painting. The good news ..it turned out to be a spark plug wire that came loose and was fixed in about ten minuets, no charge!! I skedaddled to the Safeway to pick up some lunch for later and spied a nice view from across the road. Excited to get the ball rolling I pulled off right there and did my first painting. Although it was not my best and did not make it into the juried competition, it served the purpose I intended of getting the juices flowing! Don't forget to mark November 7th, 8th, and 9th on your calendar for our yearly artists studio tour! I will be at the The Knowles Studio on Noll Rd. 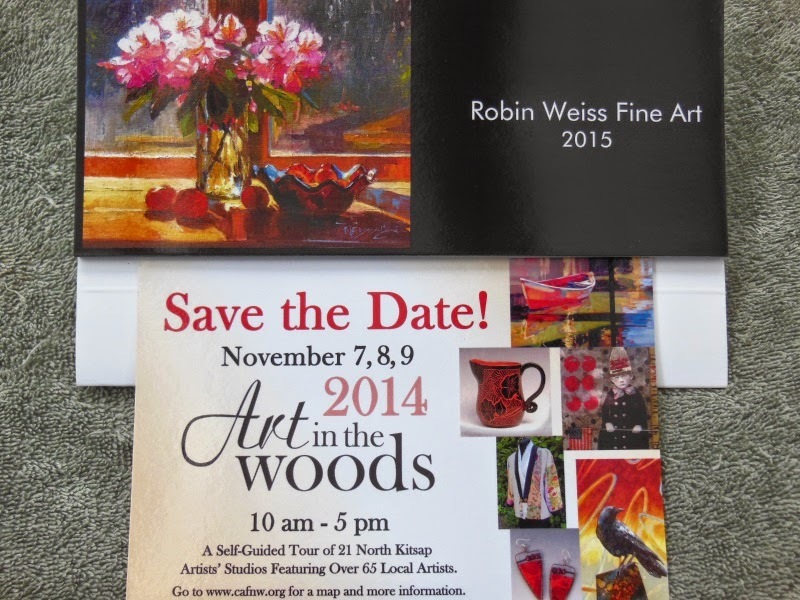 in Poulsbo once again with an exciting mix of other artists, food and fun! Don't miss it! This is a great opportunity to pick up local, handmade holiday gifts and stocking stuffers. The ever popular, 2015 desk calendars and the "Bargain Box" will be available for your browsing pleasure.. =] See ya there! On my second day in Port Angeles the van broke down! I could not drive to the location I was planning on so I walked up the street with my cart and found this house next to the Jiffy Cleaner. there was a bill board proclaiming "Welcome Paint the Peninsula Artists" on it! That's where I stopped to capture the scene.. 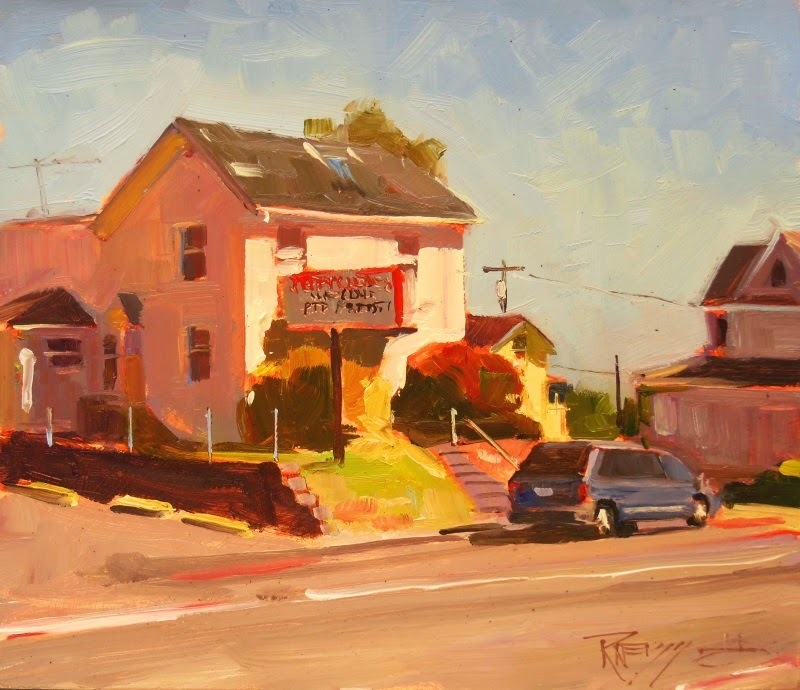 The Port Angeles Fine Art Center in Port Angeles, Wa hosted "Paint the Peninsula" for the second year in Sept, 2014. There were more events and artists from a wider region of the US and even three who came down from Canada. I gave this painting to my wonderful host family who put me up for the week in a perfect little apt room downstairs in their home overlooking the Straits of Juan de Fuca . Thank you Betsy and Don!! 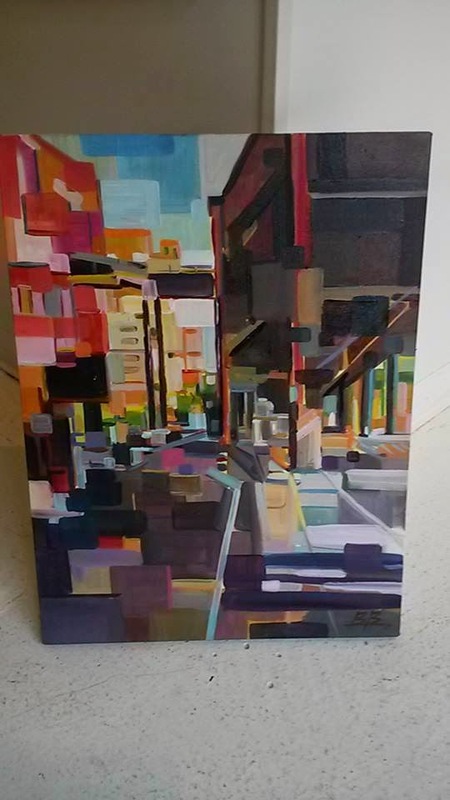 More and more I have been enjoying painting on location in the city. 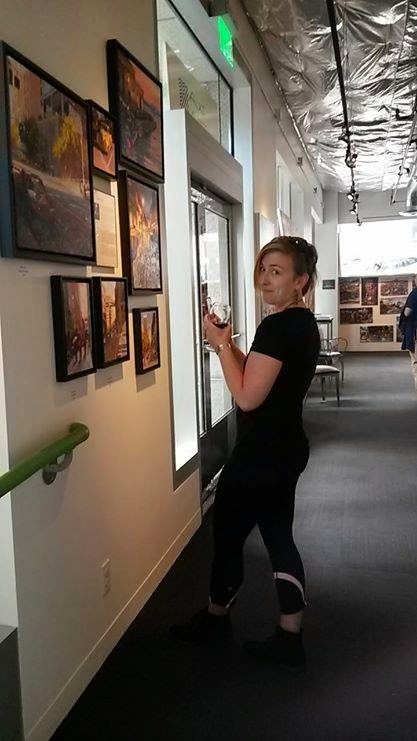 Alki Arts, the gallery that represents me in Seattle encourages me to come over and paint. Usually it's on a First Thursday Art Walk and I can direct folks to the gallery. 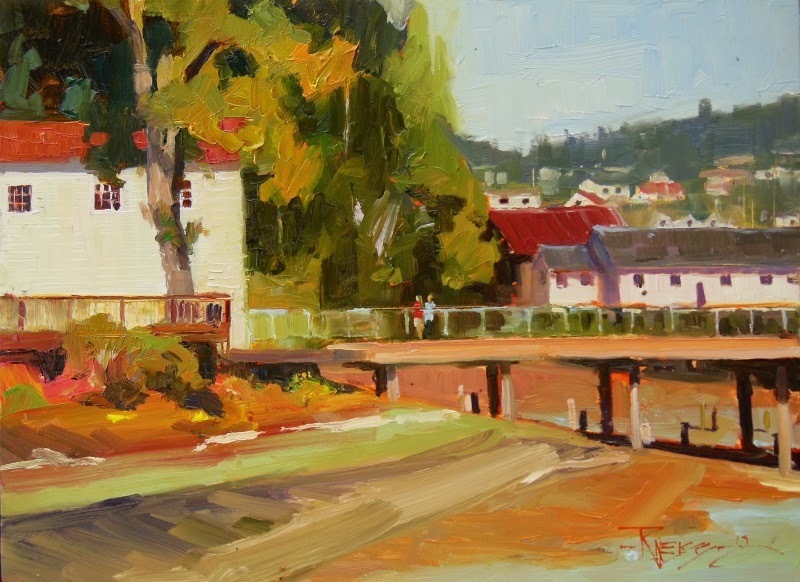 "Over and Under" is a painting I did recently and sold to a friend and fellow plein air painter, Brooke Borcherding. She sold one of her large paintings in the gallery and used some of the money to buy my work!! So cool! At the time Brooke asked if I would mind that she used the painting as reference for one of her "deconstruction" paintings and I said "sure!" She finished her interpretation of the painting took it to the gallery and it sold the first day! Surprise news! 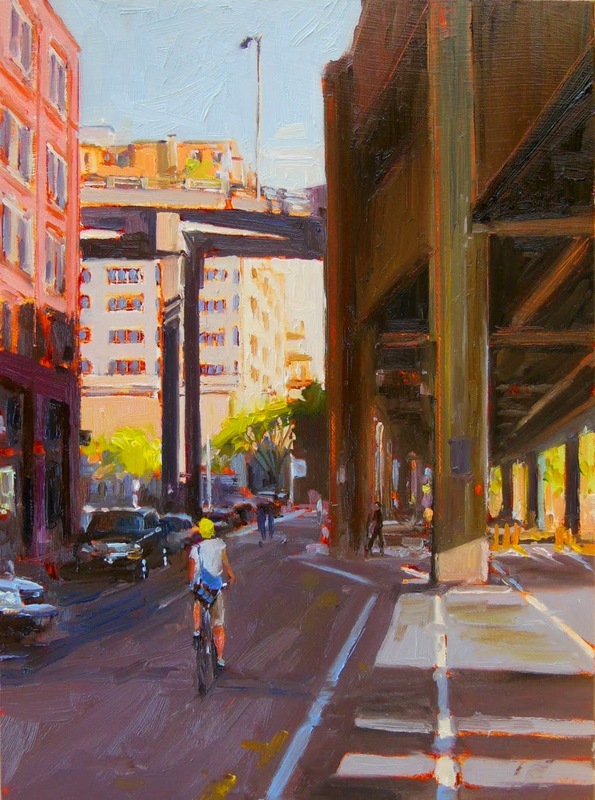 Check out the Sept/Oct edition of Plein Air Magazine to see some of my city paintings! 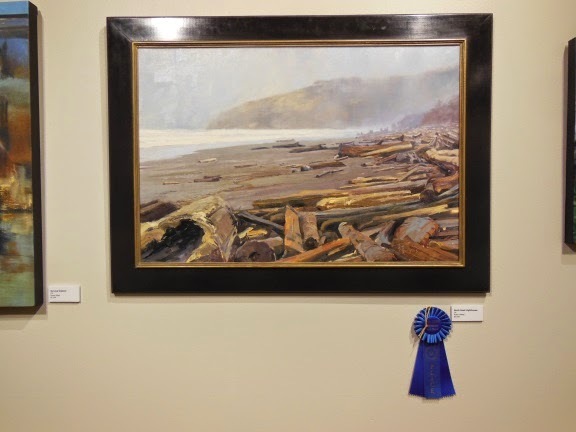 Recently the Harbor History Museum in Gig Harbor had its annual plein air painting competition. 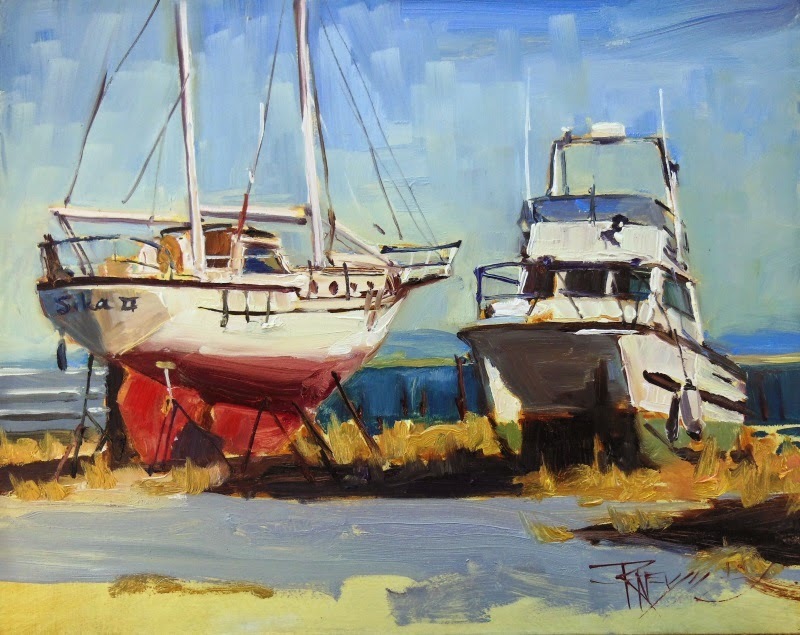 I heard about this plein air event after entering the museums 15th Annual Maritime Exhibition. 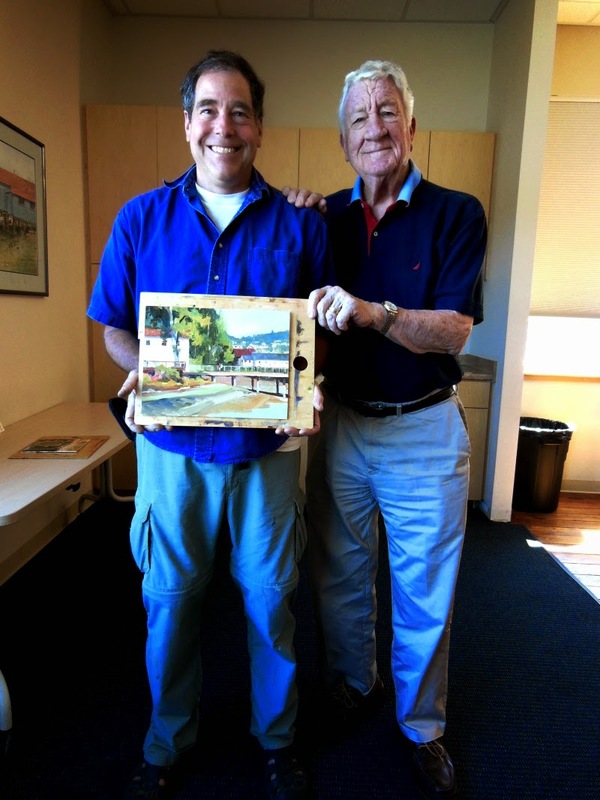 Big thanks to juror Luke Tornatzky and the good folks at the Harbor History Museum. 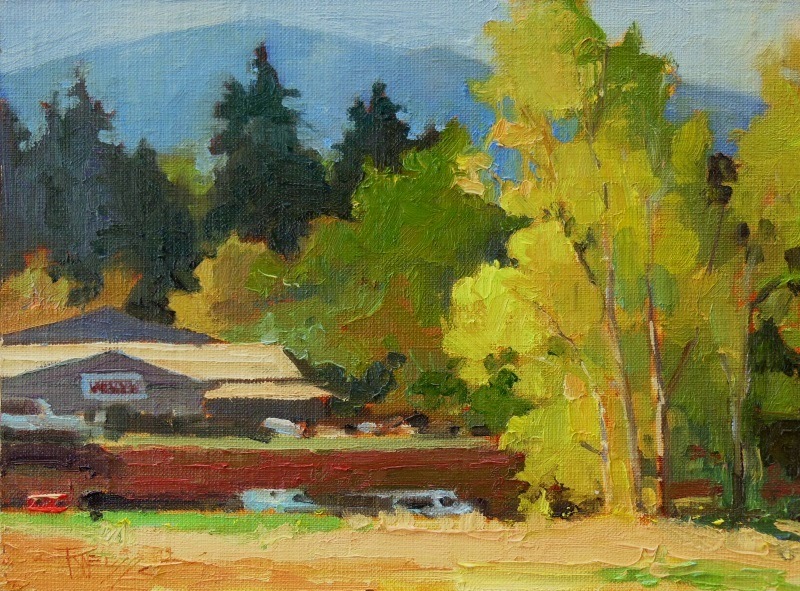 Well, as you can imagine I was very surprised, honored and humbled to win first place in the plein air competition as well! Especially so coming from juror and Salmagundi Club member, George Milliken. Thanks again to George and the good folks at The Harbor History Museum!